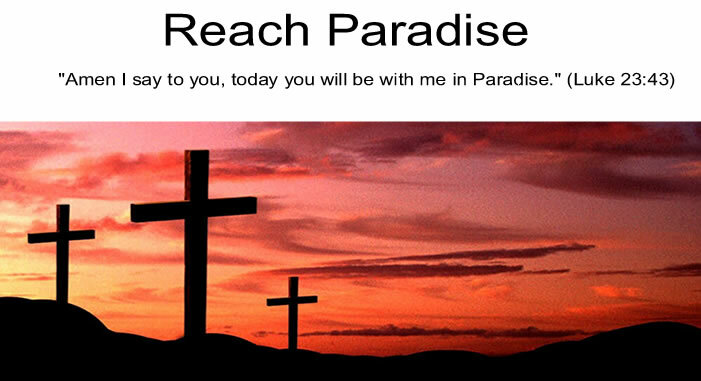 Reach Paradise: Thankful for What?? House values are dropping. The stock market is plummeting. Companies are going bankrupt. Retail sales are way down. Unemployment is rising. So what exactly are we supposed to be thankful for this week? I’ll give you two things. The first is something I know I take for granted. The freedom to worship as I wish without persecution. The ability to proudly show I am a Catholic without looking over my shoulder. The comfort to know that no one will try and burn down my church this week. If you want some perspective, Google Orissa, India and read about all the terrible things that are happening to Christians there. The second is God’s love. We should all be thankful that He will always love us, and always forgive us. Could you imagine how depressing life would be if God didn’t love us? If we knew there was no hope of life everlasting with him in Paradise? Then we would truly have nothing. There are, of course, many many things that I am thankful for. I certainly wont list all of them here, but I did want to list these two that I sometimes take for granted.